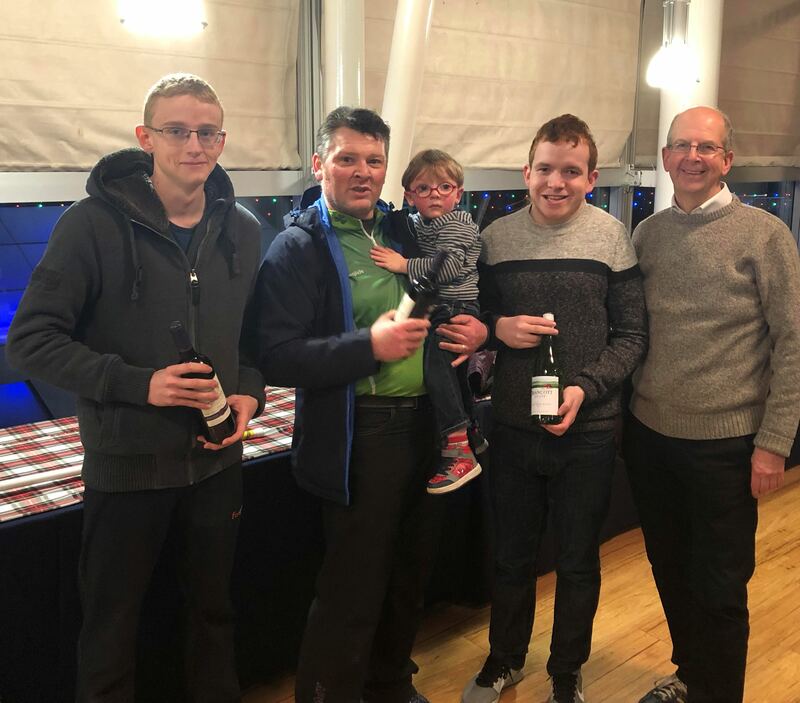 ICA members took part in the autumn bonspiel at Braehead last Sunday with the prizes going to, Andrew Gilmore, Eoin McCrossan and Steve Callan. They were presented with their prizes by President David Whyte. 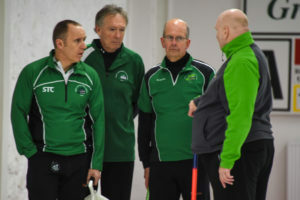 With 12 players, four teams played with three players. Thanks to all who made the effort to support the event. 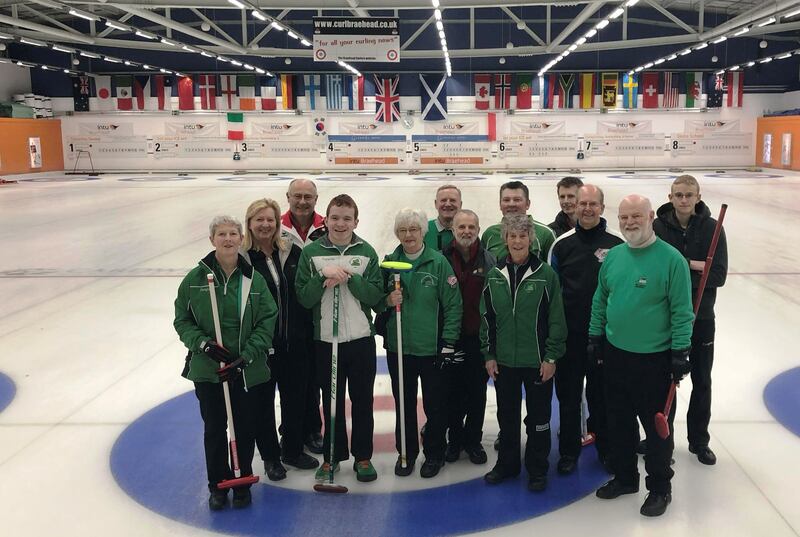 ICA member and international Irish curler Alan Mitchell is in St Gallen, Switzerland this week as coach of the Slovakian men’s team in the A Division of the European Championships. 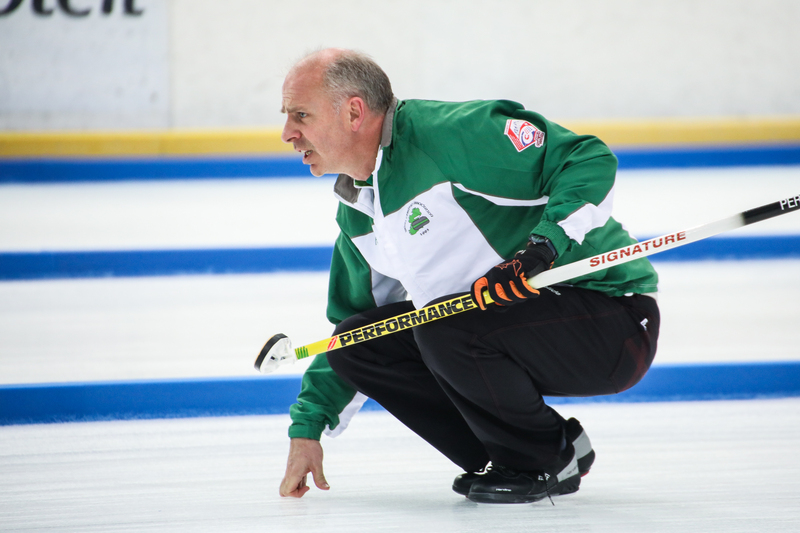 Alan coached them to promotion to A from B at Braehead this time last year. 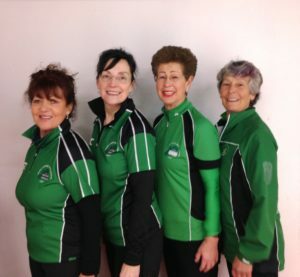 Good luck to Alan and his team from all ICA members. 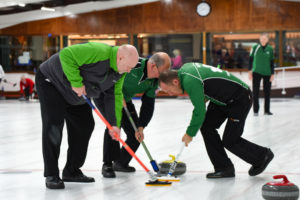 Ireland men Johnjo Kenny, David Whyte, Neil Fyfe and David Hume won the European Senior Invitation at Greenacres Ice Rink this afternoon beating Scotland’s Ian Drysdale in the final 6-5. Congratulations to the team on an excellent performance against first class opposition. The team representing Ireland in the mens half of the Greenacres Senior European Invitation are into this afternoon’s final at 2.30pm. 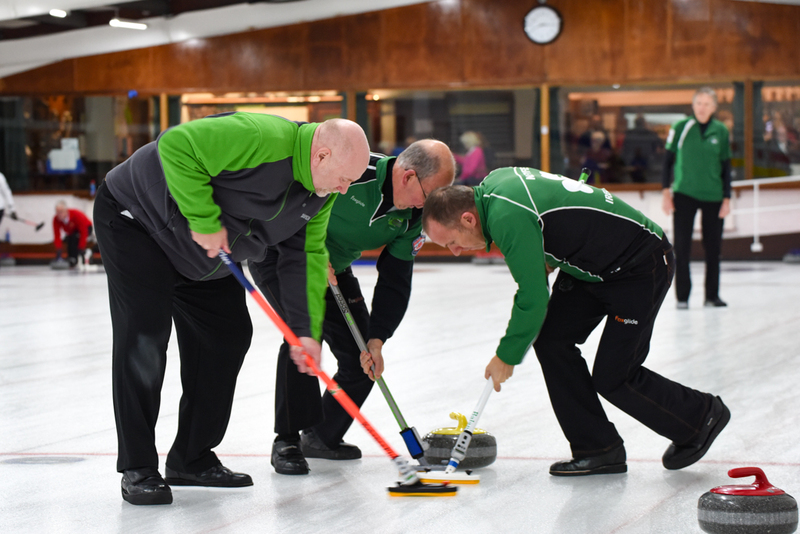 Johnjo Kenny, David Whyte, Neil Fyfe and David Hume will play Ian Drysdale’s current Scottish senior champions in the final. If you have a free afternoon why not go to Greenacres and cheer them on.